Any time of the day is good for turning off autopilot and becoming fully aware of what we are doing. To practice mindfulness, we do not need any particular scenario. The Mindfulness has become a lifestyle. However, it still gives us some laziness to include this way of experiencing our day-to-day life as a part of our routine. This happens because it is infinitely simpler to live on autopilot. However, doing so has serious consequences. One of them is that when the end of your life comes you realize that you have not tasted it as much as you should. The past and the future are too present in the now. Worries, anxiety and ruminant thoughts as well. All this sets us apart from what mindfulness tries to teach us. Focus on the present moment and enjoy the little things that life is giving us. 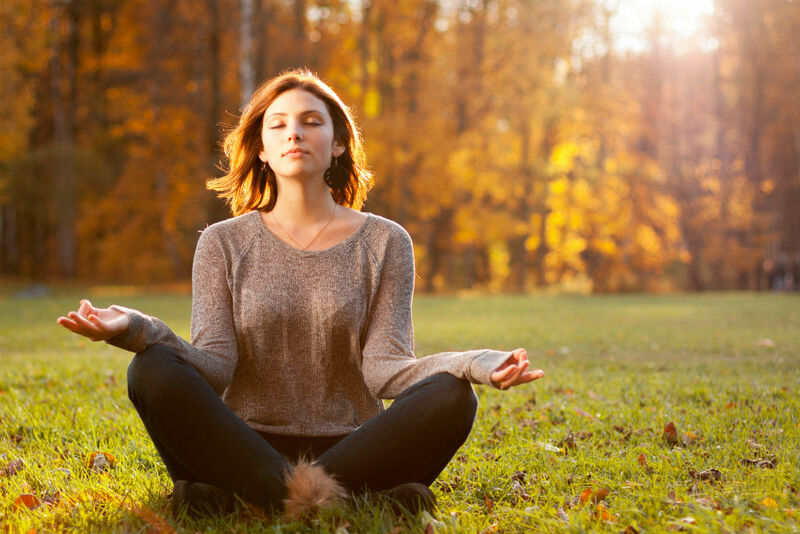 We have the mistaken belief that mindfulness is similar to meditating. Therefore, we must be still, try to let the thoughts pass without looking at them, etc. However, mindfulness is not only this, but it intends to go further. Meditation alone is a basis that must then be extrapolated to daily life. You can practice mindfulness by walking, eating, working, writing, drawing, watching a movie … There are no limits. However, you are probably wondering how this is done right now. The answer is simple. We must remove any thoughts that may distract us from what we are doing. Think of something you do that will absorb you completely. It may be to build a model, for example. Well try to do that, bring that same situation to other facets of your life. When you walk, observe how your feet are in contact with the ground, how your legs move, how at the same time the breeze moves your hair. Being aware of this will open your senses and allow you to enjoy a ride like never before. We do not usually be aware of the taste of meals because we are distracted by the television. We do not focus on the present moment when we drive because we are thinking that we are going to be late or what we have to do later. It allows the emergence of the senses that, most of the time, we ignore the fruit of distractions that prevent a small routine moment becomes something full of enjoyment. Avoid anxiety states that are the result of past and future concerns that, in reality, make no sense at all. It helps us to be much more observant and to learn not to react in an impulsive way to events. It’s a great way to be aware of our thoughts and subtract them as well as stop living on autopilot. Every moment of our life is magical but, in our inertia, we let this be overlooked. We do not despise the taste of that cheese because we have already eaten it a thousand times. Nor do we create nonsense to be aware of the touch that has all the things that pass through our hands. The world of the senses is extraordinary and allows us to enjoy the simpler things in life. Practice mindfulness is something that must be done on a daily basis, since that way of experiencing life will become, in time, a habit. It will be automated. We can start practicing this focus in the present moment with a very fun game. For example, at the beginning of the week, we are going to devote every day our attention to a sense. Monday to the touch, Tuesday to taste and so with all the others in the order that you prefer. It is a different way of practicing mindfulness every day and that will make us introduce ourselves in this practice with greater ease. At first, you may be a little overwhelmed, for your attention will come and go, but do not worry. It’s all a matter of practice, so do not leave it! You will discover that you feel very well and you will realize things that you did not notice before.